I think it is safe to say that I am just a tad obsessed with my Thermomix. I have had one for almost eight years now and I can honestly say that it has been the catalyst for such a positive change in my diet and lifestyle. I now make almost everything from scratch including sauces, peanut butter, bread, nut milks and so much more in a matter of minutes and for far cheaper that what it would cost me to buy commercially. I love the added benefit of knowing exactly what is going into my food. 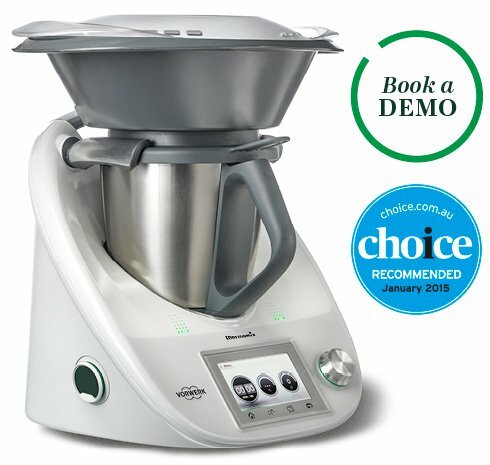 I thought its only fair that I share my love of the Thermomix so I became a Thermomix consultant in 2015 and have been busy showing my lovely customers in Victoria just how good the Thermomix is ever since. 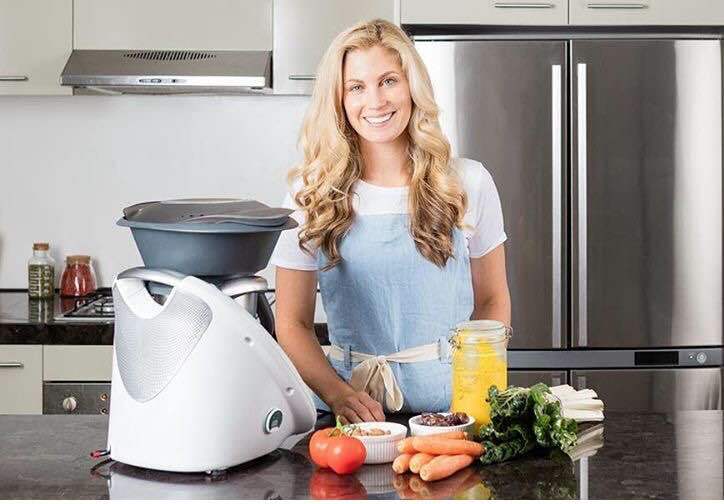 Thermomix is demonstrated exclusively through in-home cooking presentations where you can experience the simplicity of creating healthy, tasty meals in minutes. It really needs to be seen in action to believe how much this whizz bang machine can do. Entertain your friends and enjoy great food without lifting a finger by booking a Thermomix demonstration. With today’s fast paced lifestyle, we cook far less than we used to. Homemade breads, jams, juices, sauces, dips, cakes and biscuits have become a thing of the past.Thermomix allows you to create recipes you may never have attempted before: basics like tomato sauce, mayonnaise and butter without the chemicals found in commercially produced brands, and complete meals that push the boundaries of what was once possible with one set of hands and a limited amount of time. Thermomix combines twelve appliances in one with functions that include weighing, mixing, chopping, milling, kneading, blending, steaming, cooking, beating, precise heating, stirring and emulsifying. Thermomix brings the kitchen into the digital age with a beautiful colour touchscreen display. You can follow onscreen recipe instructions by using the smart Recipe Chip, which is enhanced by the Guided Cooking function. This innovation for guaranteed success takes you step by step through recipes onscreen.The recipes have been tailor made to work perfectly with the appliance – all you need to do is add the ingredients, and your Thermomix will set the temperature and timings for you. It’s a simple, fast alternative that complements the ability to operate any function entirely manually and lets you cook your way.And despite so many options and possibilities, an intuitive interface and touchscreen make it all so effortless and easy to control. With one screen and one selector dial, you can do it all.Simplicity has been reinvented.